It’s official! Well, almost official. While there’s no official announcement yet from Disney and Lucasfilm, we’re hearing that Alden Ehrenreich, who recently starred in Joel and Ethan Coen’s Hail, Caesar!, has signed on the dotted line to take on the lead role in Phil Lord and Chris Miller‘s 2018 Han Solo Star Wars Story film. Ehrenreich’s credits also include Woody Allen’s Blue Jasmine, Chan-wook Park’s Stoker and a pair of Francis Ford Coppola films, Twixt and Tetro. Slated for a May 25, 2018 release, the Han Solo movie will be executive produced by Lawrence Kasdan and Jason McGatlin and co-produced by Will Allegra. Rogue One: A Star Wars Story, meanwhile, hits theaters December 16, 2016. 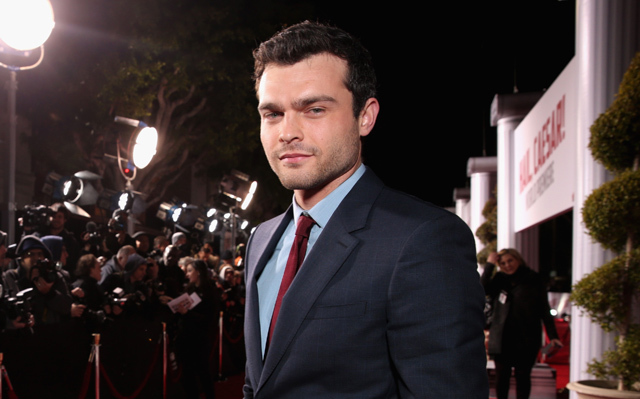 What do you think of Alden Ehrenreich as the new young Han Solo? Let us know in the comments below!